Duke guard Grayson Allen is already drawing scrutiny following his second game since returning from a one-game suspension. With the No. 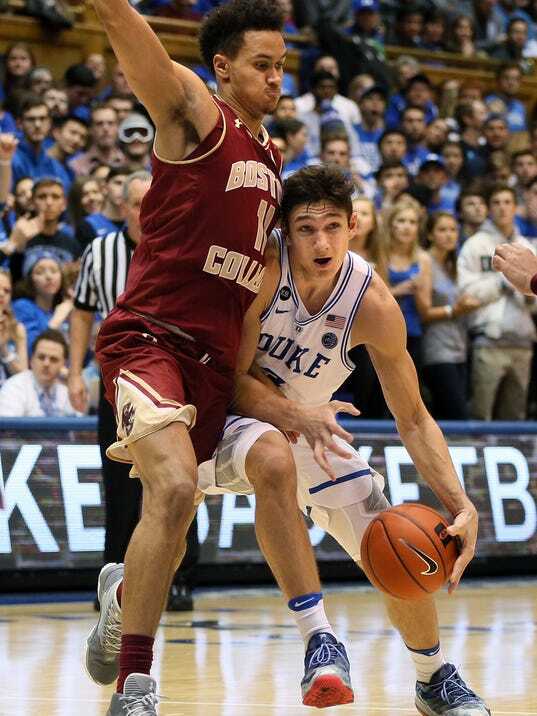 8 Blue Devils playing Boston College on Saturday, Allen extended his right leg to get around a screen and appeared to hinder guard Connar Tava.